Home » Catholic Questions » What Are the Holy Days of Obligation? On Sundays and other holy days of obligation, the faithful are to refrain from engaging in work or activities that hinder the worship owed to God, the joy proper to the Lord's Day, the performance of the works of mercy, and the appropriate relaxation of mind and body. The faithful should see to it that legitimate excuses do not lead to habits prejudicial to religion, family life, and health. 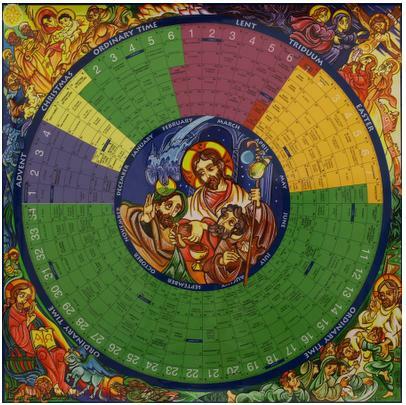 The Catholic Church follows a liturgical calendar that marks feast days, solemnities and other special events. All of these days remind us of our spiritual journey as a church and celebrate the lives of extraordinary people that we should try to emulate like Jesus Christ and the saints. Sunday, on which by apostolic tradition the paschal mystery is celebrated, must be observed in the universal Church as the primordial holy day of obligation. There are instances wherein holy days are moved to another date because they fall on the same date with another higher-ranking celebration. Even if this is the case, we are still expected to attend Mass on the holy day. These days are known as “working holy days” and we are still expected to attend Mass during this time. 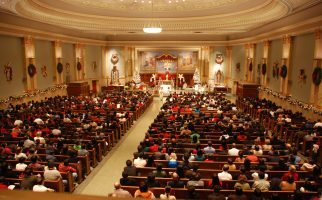 Some churches may hold specially scheduled Mass beyond regular working hours or in the previous evenings to accommodate the faithful who have activities on working holy days. Christmas Day (December 25) and the Immaculate Conception (December 8) are always considered holy days of obligation in the United States. In Ireland, only Christmas, the Solemnity of Mary Mother of God, Epiphany and All Saints’ Day are considered public holidays. Slovakia also has four days of obligation that are public holidays: Christmas, the Solemnity of Mary Mother of God, Epiphany and All Saints’ Day. 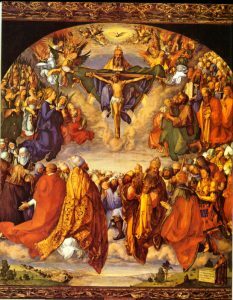 In the Netherlands, beginning January 1, 1991, the feasts of the Assumption and All Saints were considered holy days of obligation so the faithful are required to attend Mass but not abstain from work. In Vatican City, but not the rest of the Diocese of Rome, Sundays and all the ten days listed in canon 1246 are observed as holy days of obligation. The Diocese of Lugano which includes the Swiss canton of Ticino, also follows this practice. Holy days of obligation are important to our faith because they encourage us to unite and celebrate significant events together as one church. God does not just love us as individual Christians, He sees us as one spiritual family that can support one another in our journey through life. Second, we need to invest time in our relationship with our Heavenly Father and the holy days of obligation is one of the many ways that we can do this. Taking time to attend Mass demonstrates how much we prioritize God in our lives. Attending Mass lets us unite with Christ through the Eucharist and listen to His teachings. Last but not the least, holy days are rooted on people and events that are significant to our religious history as a church. By observing and celebrating these holy days, we remember these people and events and we can reflect on their influence in our lives.